Dr. Rebecca Principe is a naturopathic physician working out of the Scappoose location. Working as both a primary care provider and natural medicine specialist, she helps patients of all ages achieve their health care goals. With a focus on treating the underlying cause of disease, and the belief that medicine must address the whole person, Dr. Principe develops individualized treatment plans to address everything from chronic disease to the common cold. Dr. Principe grew up in Rhode Island and graduated from Trinity College in Hartford in June of 2000 with a BS in psychology. On her first trip out west she fell in love with Oregon and has called it her home ever since. Before discovering her calling to naturopathic medicine, Dr. Principe worked in social services and consumer advocacy, while making lots of time for international travel. These days, when not seeing patients, she spends her time rock climbing, gardening, playing the mandolin and enjoying her country home with her partner and two dogs. 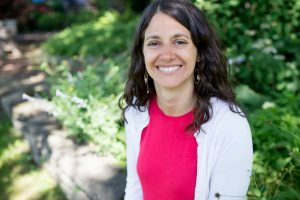 Dr. Principe’s passion for her profession is illustrated by the volunteer work she does as a director of the Oregon Association of Naturopathic Physicians. A true educator and activist at heart, Dr. Principe believes that naturopathic medicine is the vehicle for change through which we can restore balance to our individual lives and our communities at large.